As a witness in a lawsuit, whether in court or in a deposition, you play an essential role in the proper outcome of the case. You can maximize your contribution if you are mentally, physically and emotionally prepared to testify, both in court and in giving testimony outside of court. A deposition is a witness's testimony given under oath before trial. It is just like trial testimony, except that there is no judge or jury present. Depositions are a normal part of almost all civil cases. Your testimony at a deposition becomes a permanent part of the record of our case. Whether at a deposition or in court, what should I say? Never volunteer any information that isn't requested. Answer the questions in as few words as possible. Explain your answers if necessary, but don't make a speech. If you can answer a question with "yes" or "no," do so and say no more. At the same time, you always have the right to explain a yes-or-no answer. Depositions are taken in order to find out what witnesses know, to establish as many facts as possible before trial, and to preserve witnesses' testimony. By making facts known to both sides, a deposition can often help parties resolve their differences without going to trial. What if I don't know the answer? Say, "I don't know," or "I don't recall." No one expects you to know or remember everything. Never state "facts" that you do not know to be true; if you estimate or guess and are later proved wrong, it may appear that you lied under oath. If you don't understand the question, don't try to answer it. Tell the attorney you don't understand. You will be asked questions about yourself and the facts of the case by the attorney for the other party. In some cases, your own attorney will ask you questions as well. The questions and answers will be taken down by a court reporter. If your deposition is to be video taped, there will also be a camera recording the proceeding. What if my attorney makes an objection? If your attorney begins to speak, stop talking. Allow him to make his objection, and proceed when you are told to do so. What else can I do to be an effective witness? Be yourself. Use your own words. Never argue or lose your temper. Be humble and respectful. Speak slowly and clearly. 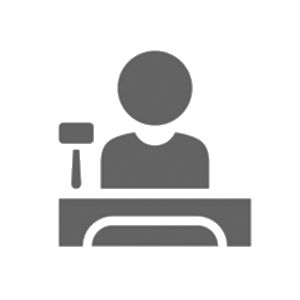 Don't answer non-verbally; the court reporter cannot take down a nod of your head or a shrug of your shoulders. Avoid vague responses, such as "I think," "I believe," "I guess," "maybe," and so on. Say, "as I recall," or "in my judgement." If your answer requires that you make an estimate, say that it's an estimate. Don't interrupt the attorney. Answer the question asked of you, not the question you think the lawyer is going to ask. Take as much time as is necessary before you begin to answer a question. Don't begin speaking until you've formulated your answer.